When you want to make a great impression, our hearty fruit basket holds the recipe for success! Carefully selected seasonal fruits such as apples, oranges, bananas, nectarines, grapes, tropical pineapple, kiwi, mangoes, and pears as available are hand delivered in an attractive wicker basket. Perfect for family and office. Exact basket and fruit selection may vary by season and delivery location. 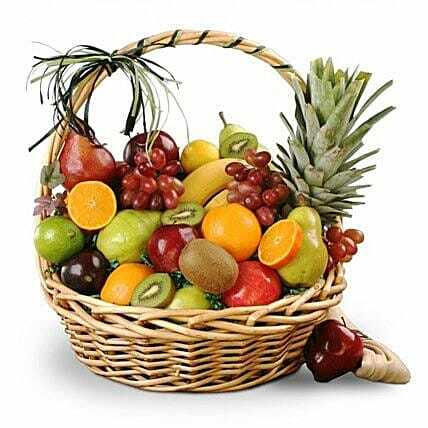 Quantity and selection of fruit will vary depending upon size of gift selected.